Soon, all brands will be assured in their ability to use programmatic buying to engage and move their audiences when it matters the most. Programmatic advertising has proven to be a great tool for the online advertising industry and has been consistently growing since its inception. 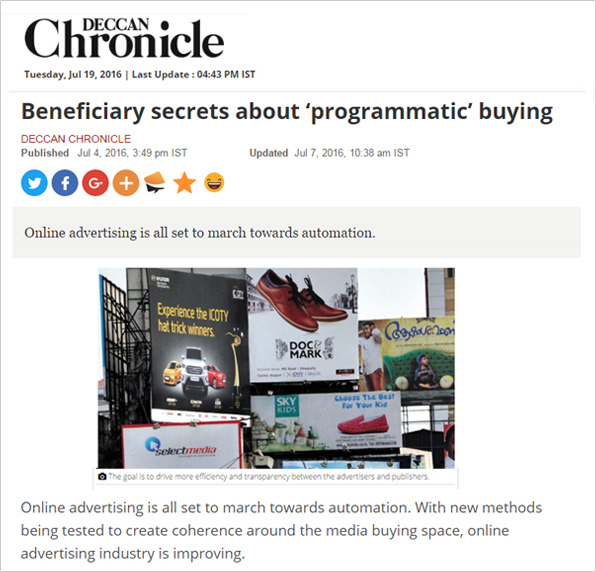 Programmatic buying helps advertisers to set budgets and target impressions based on factors such as interest, location and age group to find the right target audience. It offers a transparent pricing model to the advertisers. Through automated media planning, it provides enormous benefits to brand advertisers. There is a huge advantage for the buyers to select right impressions using a third party data to target the right audience. Vertoz offers an ingenious platform that enables advertisers to get in front of their desired audiences, engage with them and create a brand recognition by tapping into our large network of quality publishers. Our industry leading targeting and optimization options boosts your ad campaigns and drive leads. We help you to enhance your retargeting rates for the audience who had already engaged with you.